This week at AWS re:Invent, Athonet, Ruckus Networks, Federated Wireless are launching a fully cloud-native private mobile network solution for developers, ISV’s, telecom operators, public sector and enterprises for quick deployment of Industrial IoT applications, such as real-time surveillance, smart meters and worker safety monitoring. The solution takes advantage of CBRS shared spectrum to deliver high performance, scalable and secure IIoT services powered by this private network. AWS DeepLens is the world’s first deep learning enabled video camera for developers. 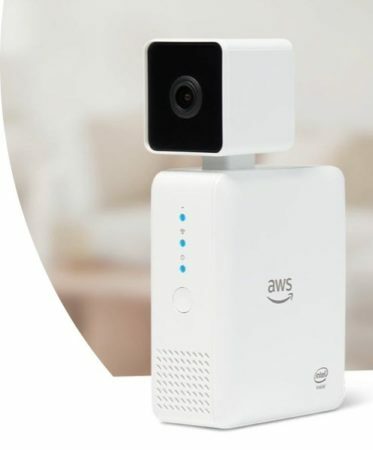 In a live, hands-on workshop at AWS re:Invent on November 29 from 3:15 – 5:30 p.m. PT, Amazon Web Services, Athonet, Ruckus Networks and Federated Wireless will set up an end-to-end Private LTE network with DeepLens cameras connected to band 48 compatible CPEs over CBRS. The DeepLens cameras run machine learning models for object recognition and leverage secure, reliable connectivity that can support large number of devices in an interference-free environment. LTE over CBRS was the perfect choice to connect a large number of cameras in a single room without impacting throughput. Over 100 developers will set up their respective DeepLens devices by registering them to the AWS platform during the workshop, downloading the Object recognition model and testing the application end-to-end. AWS is the leading cloud IoT platform. From AWS IoT Core to AWS IoT Button, Amazon provides a full range of services that allow enterprises to streamline and automate their IoT applications. Adding private mobile connectivity on top of these cloud services ensures that an Industrial IoT solution can be cost-effectively and quickly deployed in any environment. The Athonet BubbleCloud EPC platform on AWS allows users to deploy LTE networks with dramatic simplicity. It provides local bubbles or blankets of LTE coverage that are connected and controlled from the AWS cloud. Its hybrid architecture allows local on-premise segregation of traffic and data for security, analysis, low-latency and compute while using the cloud for simplicity of network management and control. Ruckus Networks enables organizations to easily deploy and manage a private LTE network with their FCC-Certified LTE portfolio, similar to deploying a Wi-Fi network today. From wide-area surveillance to mobile point-of-sale to remote data transfer to critical communications, private LTE networks enable the most challenging use cases to be realized. 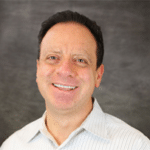 Federated Wireless is at the forefront of shared spectrum technology, recently announcing plans to roll out initial commercial CBRS service in close to 16,000 nationwide sites starting in Q1 2019. The Federated Wireless Spectrum Controller delivers CBRS spectrum sharing as a cloud service for efficiency, scale, and ease of deployment. This partnership represents a leap in private mobile networks by combining the leading cloud IoT platform with new wireless connectivity solutions to enable every developer to create that next transformational service. The workshop at AWS re:Invent this week shows what’s possible with this combined platform. Join us on November 29 from 3:15 – 5:30 p.m.